If you are suspecting your spouse of cheating on you. This is the number 1 mobile spy app to help clear your doubts. All you need to do is to install this app (License Manager) on your own device then the steps required to install and run the main app completely hidden on the device to monitor will be revealed to you. Note that the phone to be monitored must be running Android OS. - Forward incoming/outgoing SMS/MMS as another SMS to another Phone. - Forward incoming/outgoing SMS/MMS to multiple email accounts. - Forward incoming/outgoing SMS to your Twitter account as DM. - Forward incoming/outgoing phone call notifications as SMS to another phone. 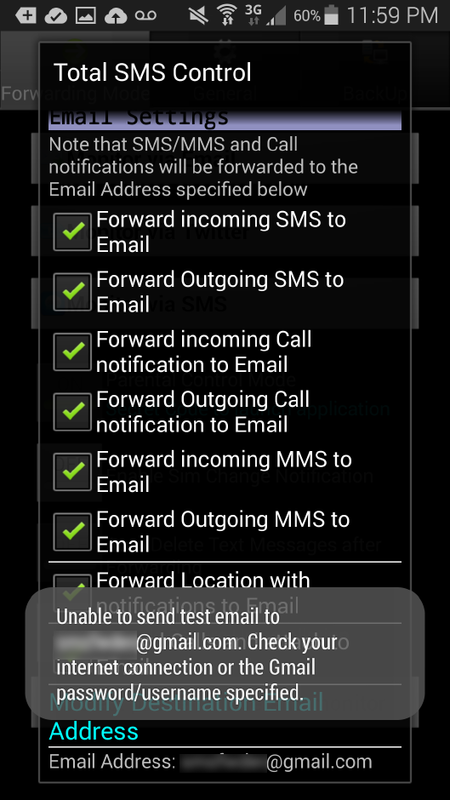 - Forward incoming/outgoing phone call notifications to multiple email accounts. - Forward incoming/outgoing phone call notifications to your twitter account. - Include phone location (address and map link) in every SMS and phone call notifications forwarded to an email account. - Forward phone location (address and map link) remotely via incoming SMS with keyword. - Remotely sound loud alarm to locate missing phone via incoming SMS with keyword. - Schedule automatic Back up of contacts list and send to an email account. - Schedule automatic Back up of Call logs and send to an email account. - Schedule automatic Back up of SMS and send to an email account. - Schedule automatic back up of Applications list and send to an email account. - Forward contacts list remotely via keyword in incoming SMS. - Forward list of installed applications via keyword in incoming SMS. - Forward Call logs via incoming SMS with keyword. - Forward SMS via incoming SMS with keyword.